I’ve been thinking about what to write on ‘Yoga Suits Her’ this week and come up blank. In fact, in the last month I’ve skipped my weekly posting twice. Another of the weeks, my friend Angelika did a lovely guest post on The Beauty of Yoga Practice for me. My Inner Critic has been wagging her finger at me. ‘Slack,’ she says. There was a time when I slept the sleep of the innocent. That was in the dim distant past. Menopause first threw a spanner in the machine, with its 3-4am wake-ups. 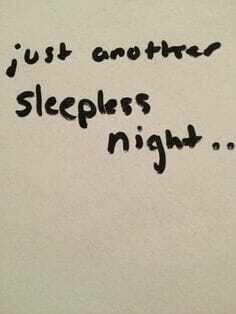 Once I was wide awake, too bad, that was it for the night. Man-o-pause sleep, I’ve heard, isn’t any better. No matter what our gender, eventually we all succumb. What is it? The influence of waning hormones? You can start Yoga at any stage in your life. More importantly though, for your quality of life to improve and discipline become more natural, you can increase your commitment to this most beautiful practice anytime – especially today!